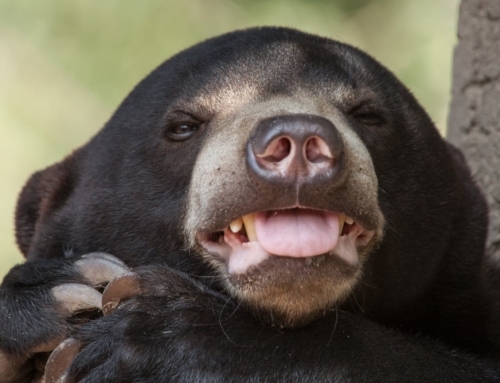 The earth is beautiful, the atmosphere is clean, water is not dirty, the forest, the wild animals, and the birds, crying out loudly. 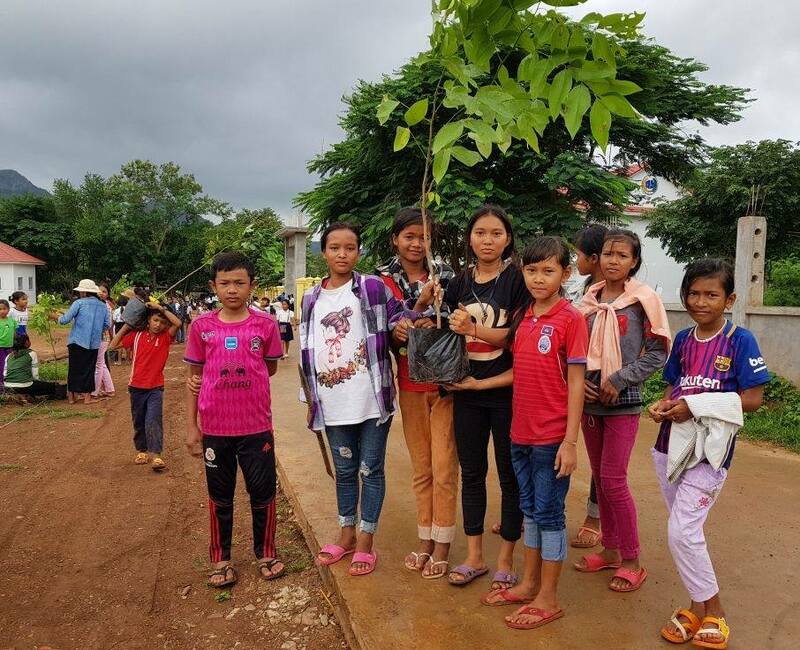 All these things are the nature of the natural environment that we have to jointly care for the beauty of the whole world. 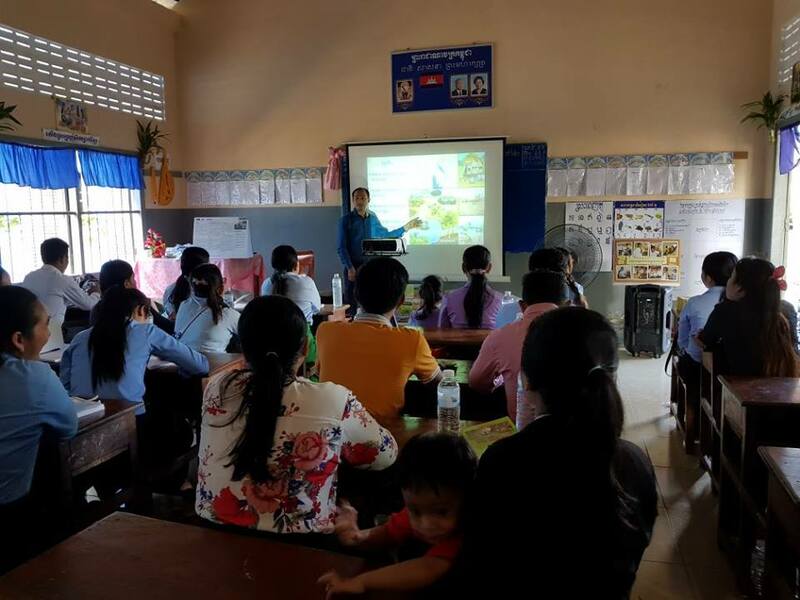 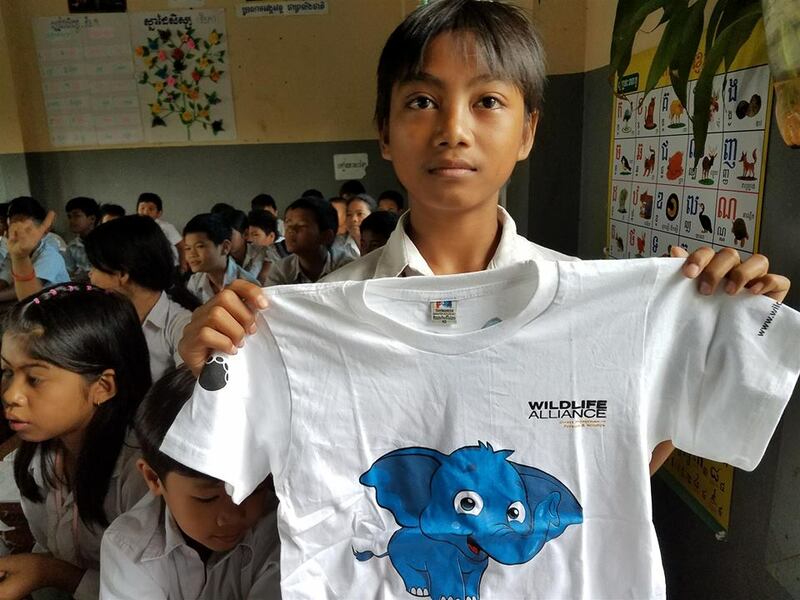 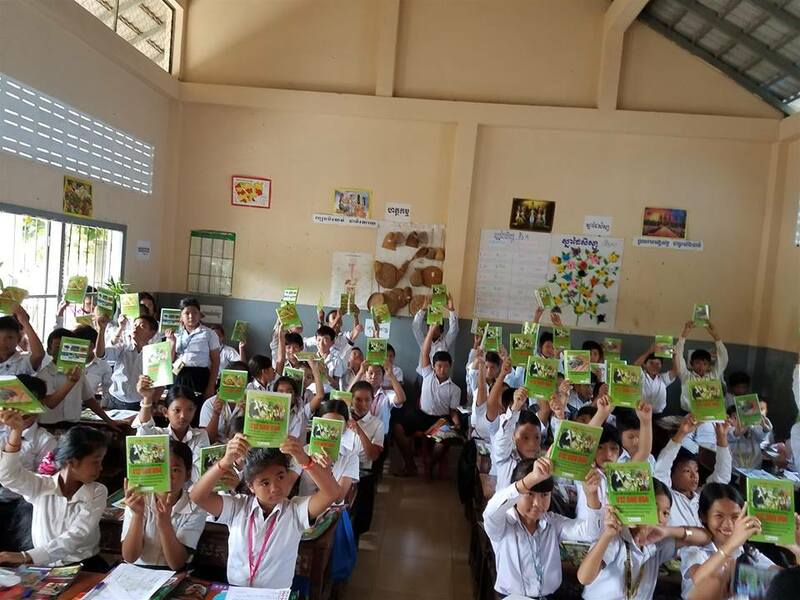 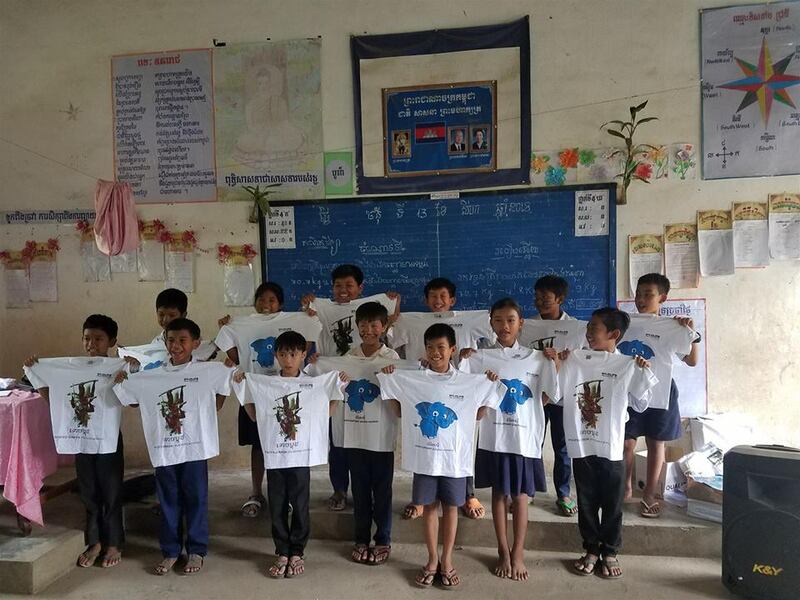 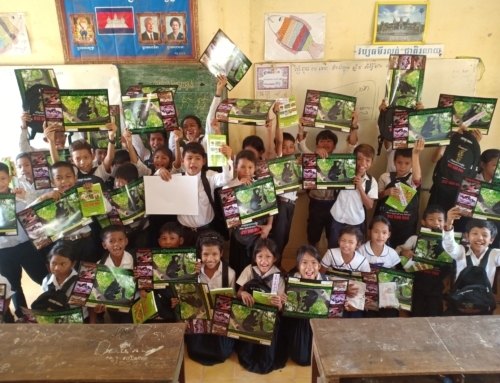 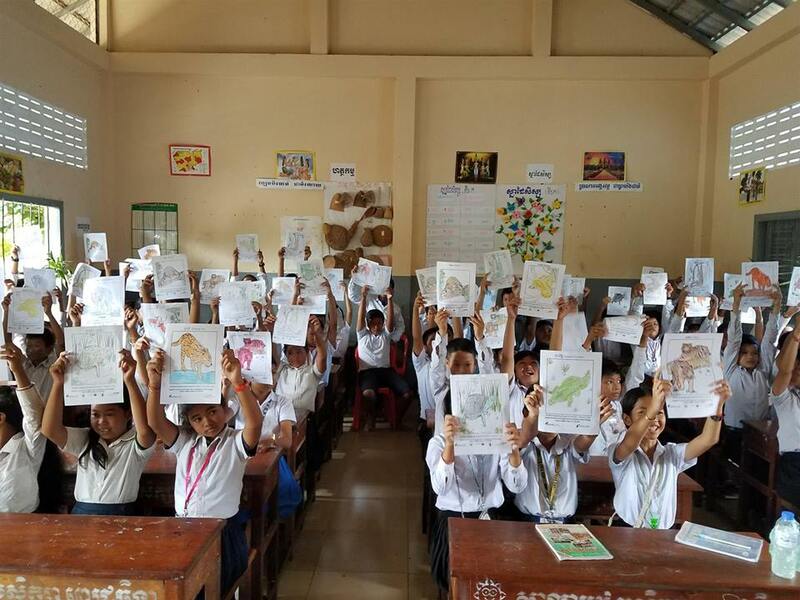 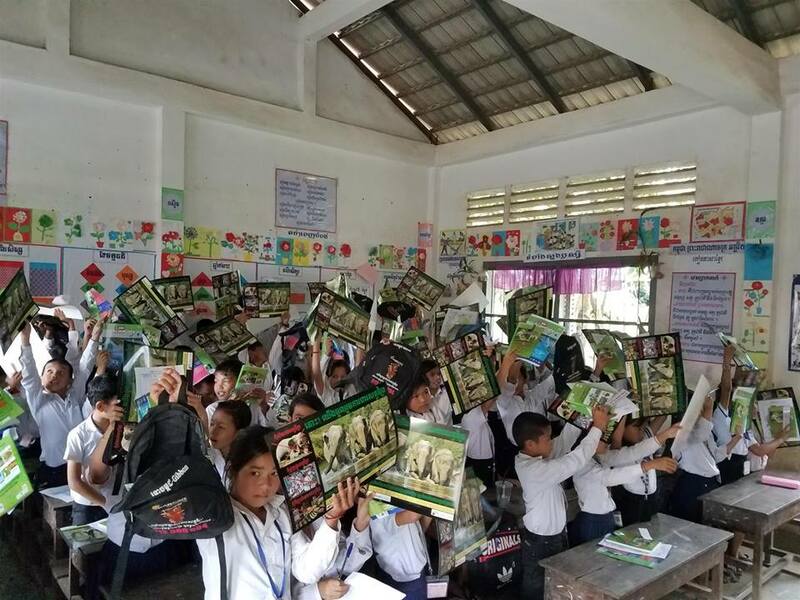 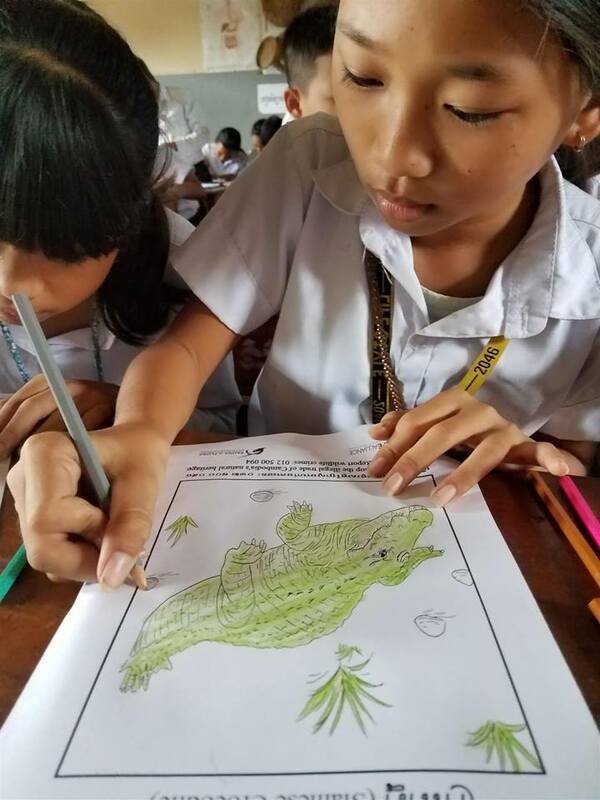 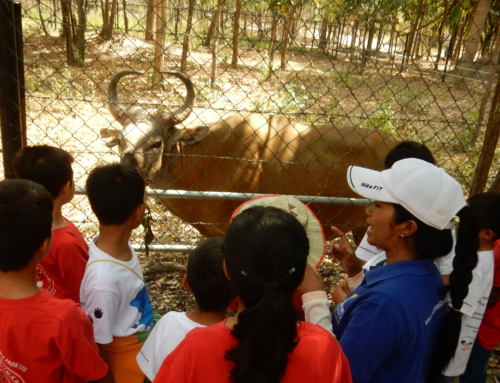 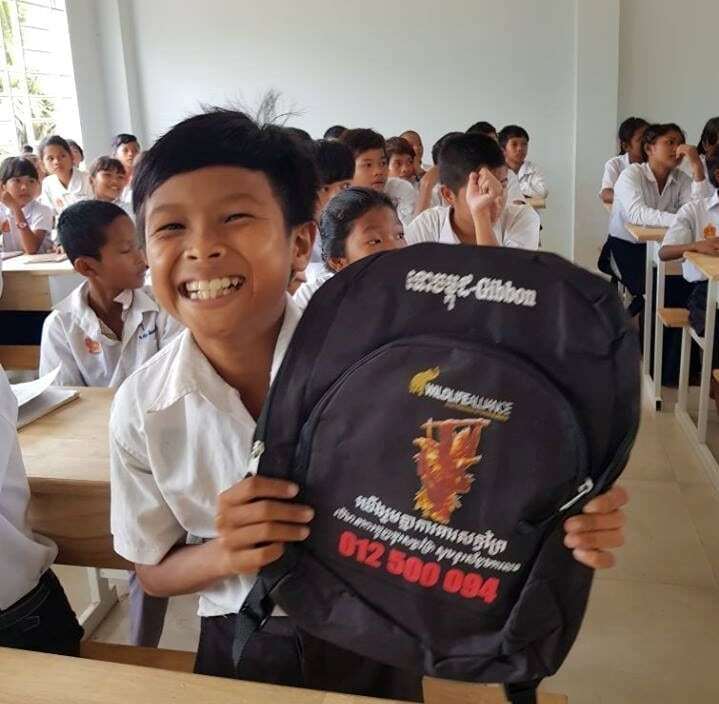 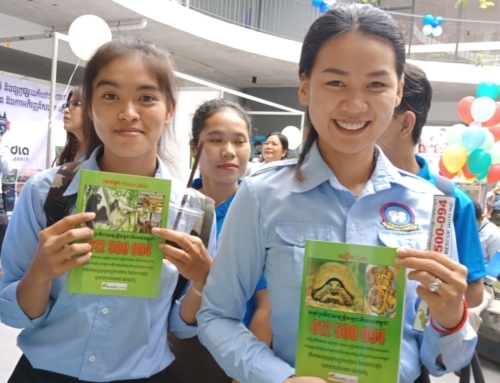 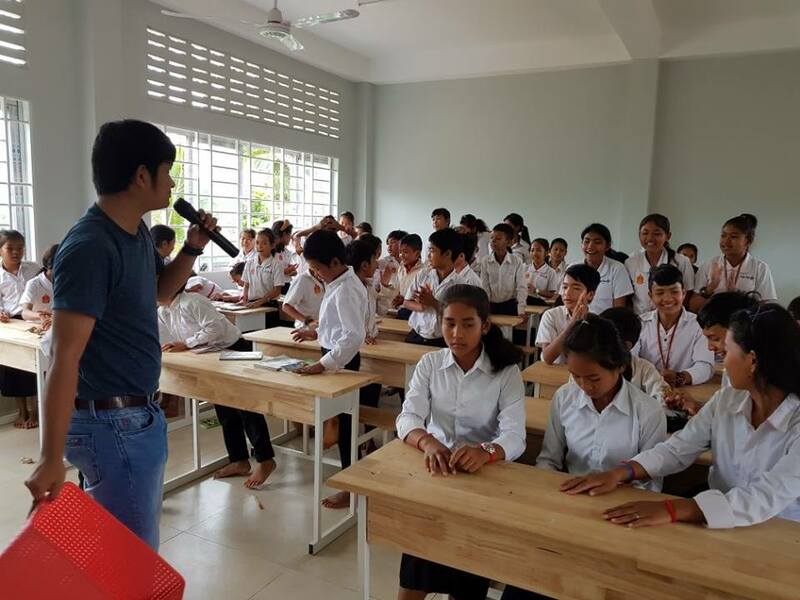 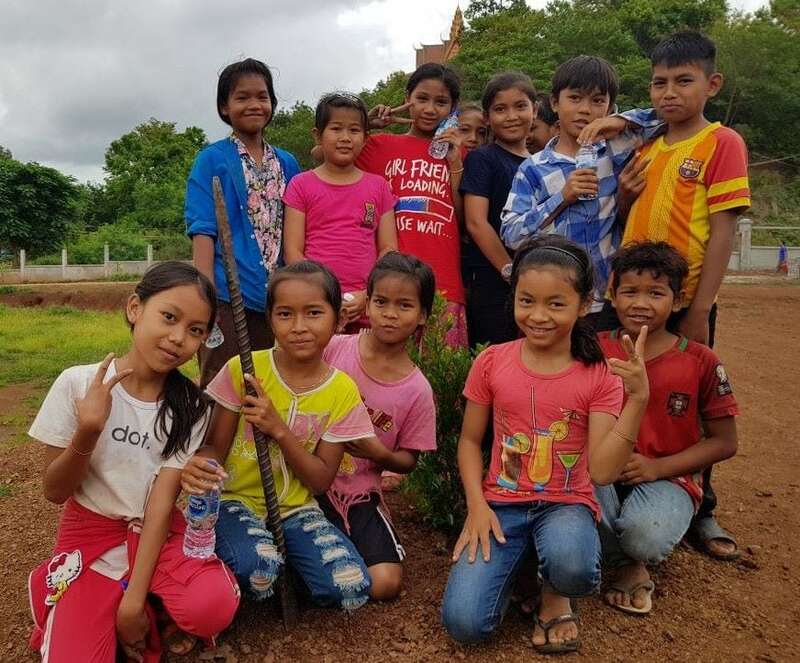 On August 12th 2018, The Kouprey Team, the Wildlife Alliance’s Mobile Environmental Educator, went to Battambang’s Phnom Prek district to promote about preserving environment at Pechanda Elementary School and Phnom Prek Elementary School. 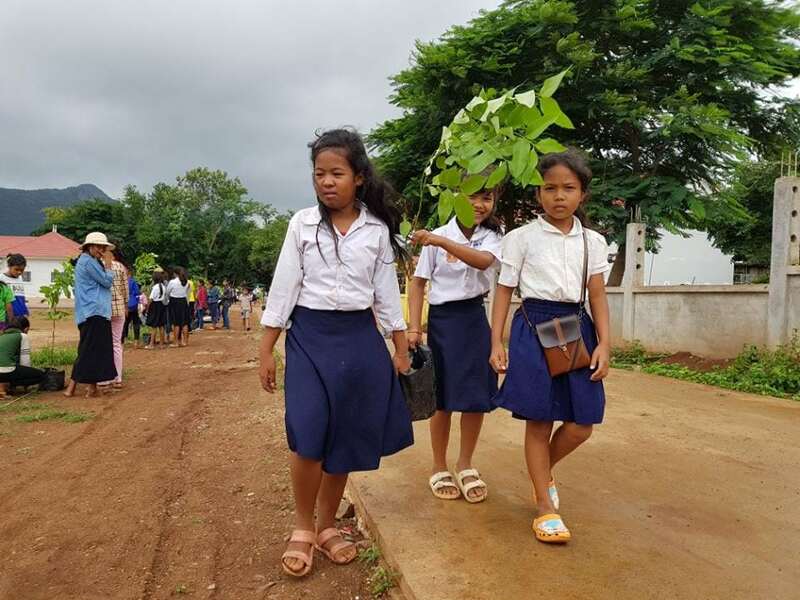 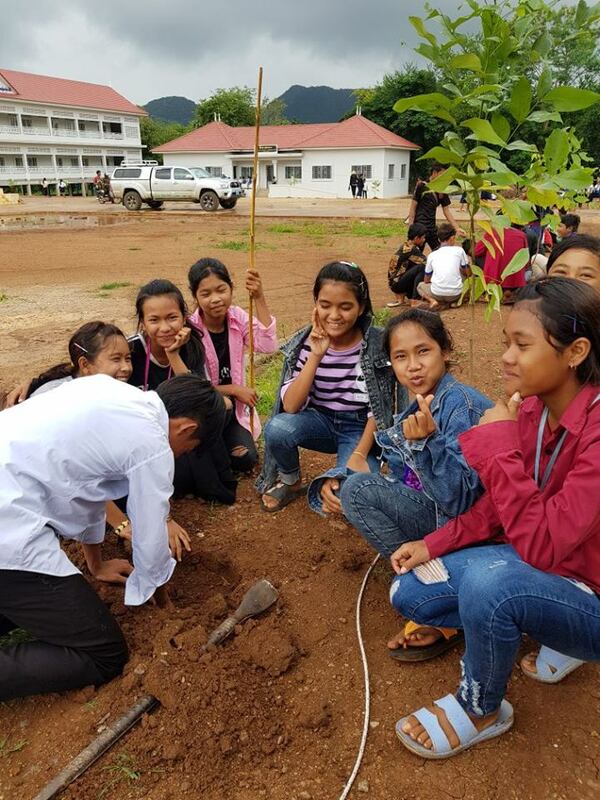 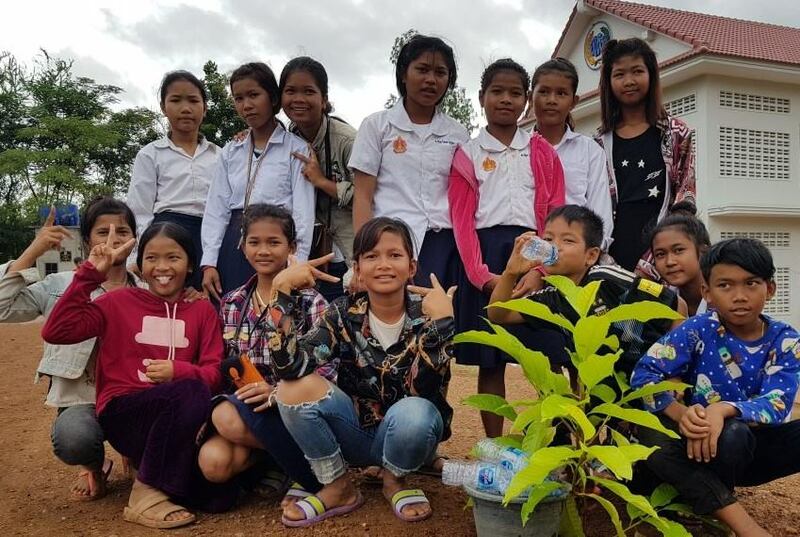 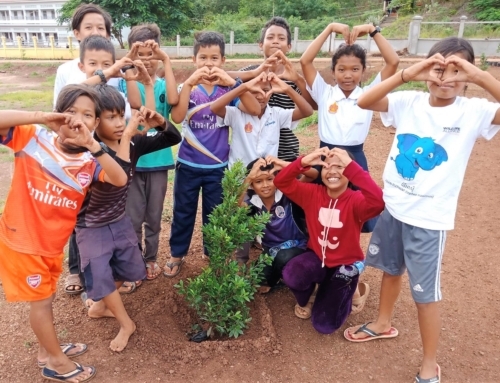 In its mission was conducted three activities: the first, the activity with students, the second, trees planting activity, and the third, activity with teachers. 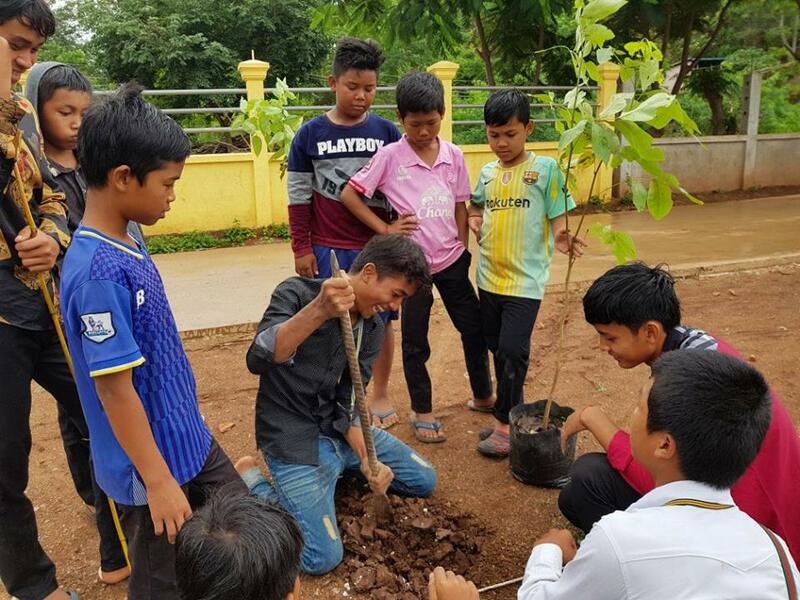 And those activities are essential on protecting the community natural environment where students and teachers live and inspire them to share the lesson with other local for the natural environment beauty in their community. 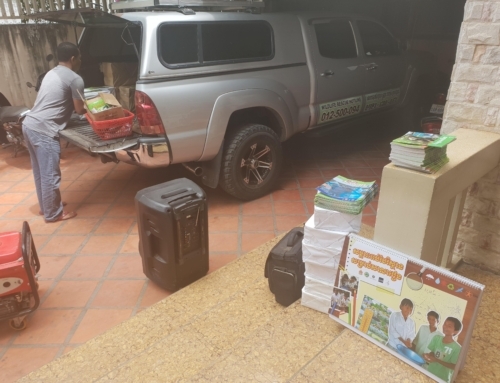 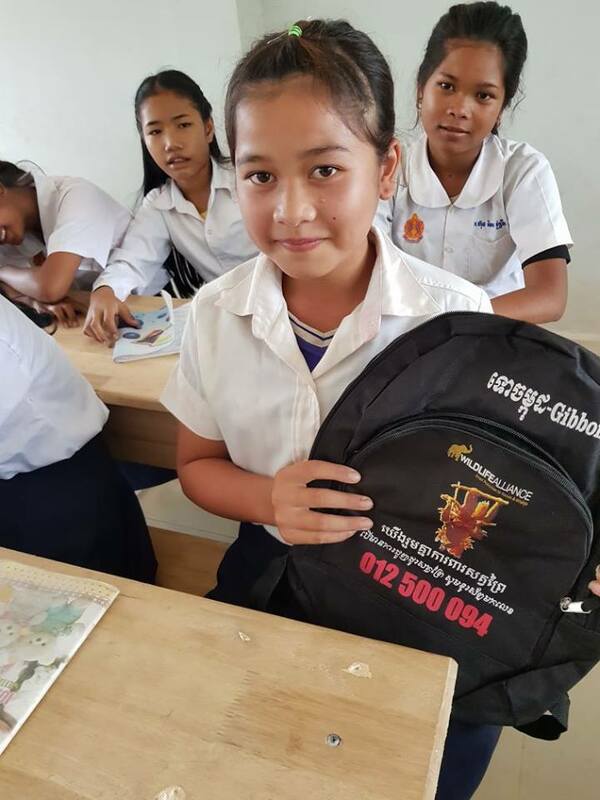 The thing the KE officer has never ever missed is always bringing the prizes along to give pupils and teachers, such as 110 T-shirt, 80 bagpacks, 800 notebooks, 800 pens, and some more materials promoted about hotline. 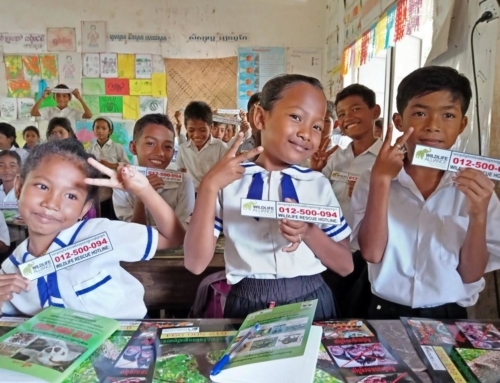 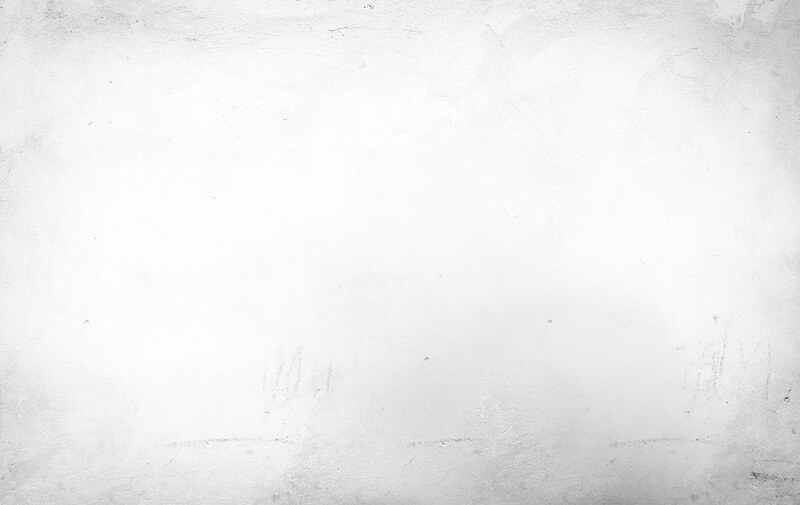 Please support this vital work by making a donation today!